A lot of the Pages on Facebook go unnoticed owing to the fact that Facebook only broadcasts your posts to a small percentage of your audience. And unless you spend some money on promotions (which increases the target audience percentage), chances are that you you’ll be struggling to reach even a fraction of your potential. Today, we’ll share some tips that could help you increase your page’s potential without having to pay anything. Yes, the first and the foremost (and the most obvious) step. Do not under-estimate it though. Small details matter. Fill out each and every piece of information that is available, and make your page complete. This will not only help people find your content more easily, it will also tell them more about your business/page, which will ultimately drive engagement. Information you must add includes Category and description, Address, business hours, contact information, web addresses, profile/cover photos, and so on. Make sure you do this before moving on to the next step. Try to reach out to people. 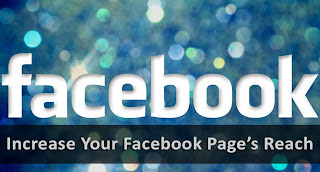 Invite your friends to like your page, and visit it often too. Tell them to invite their friends as well. The more the merrier. If you’re a business, make use of your email lists, and invite them to Facebook. Reach out to as many human beings as you possibly can – only a few would respond. Use that as your base for further growth. Also urge them to visit your page frequently, because if you visit a Facebook Page frequently, the Facebook EdgeRank algorithm will kick in, and will ‘unblock’ broadcasts from that page for you. Otherwise, these updates are only visible to a small percentage. Talking to people personally is a great way to get their attention. It goes without saying that the newsfeed is the most important thing on Facebook. People interact with the things on their newsfeed – give them a reason to interact with yours. This can be achieved by interesting shares, use of compelling images (extremely important), concise, easy to understand text, and more. You can also make use of humor, but keep it strictly family safe. People don’t interact with things they might like, but are not comfortable showing up on their walls. So keep it universal. Important observation: Compare this method with the more aggressive style of using controversial debates as conversation starters. They get people’s attention just as quickly, and people want to interact with such posts, if only to ridicule or defend/attack another. This method can be applied to, but do it at your own expanse. Don’t do it if it could harm your brand’s image. Monitoring what types of posts are getting good responses is key. Use Page Insights to determine what types of content — videos, posts, questions, etc. — are getting good engagement versus what types aren’t. To access your Page Insights, go to the center of your Page Admin panel to a section called Insights. Or, you can go to the drop-down menu with the gear below your cover photo and select View Insights. As you learn what posts are getting the most engagement, make sure you optimise your future posts based on what resonates best with your customers. This is an ongoing learning process but will help you grow engagement with your audience. Just short of spending money for promotions on Facebook, these tips will help you increase your Page’s reach and grow a larger audience. Thanks for sharing this important topic. I learnt many things from MBT. However,your post is useful;but still advertising through FB is the most efficient way I found to get more activity log on my page.Even I do not suggest advertising but still advertising should be in your post as there are many users do not consider these options.